On Valentine’s Day, what’s a single grump to do? Dinner w/the SF and Sallory, natch. The Silver Fox cooked up some lamb with sides of rice and broccoli. Simply delish. Oh, and wine! The Fox raised his glass to toast his NSLPs. It was a lovely meal of good food, great people and fantastic conversation. Of course, being Valentines Day, they had post-dinner plans. Them: off to a play. Me: home to do laundry. Of course I decided this was the time for an experiment…the timing was right and I was relaxed enough after a couple glasses of good wine that my curiosity got the best of me. I really should graph my (i)nterest over (t)ime . And the put (a)lcohol on the Z axis. 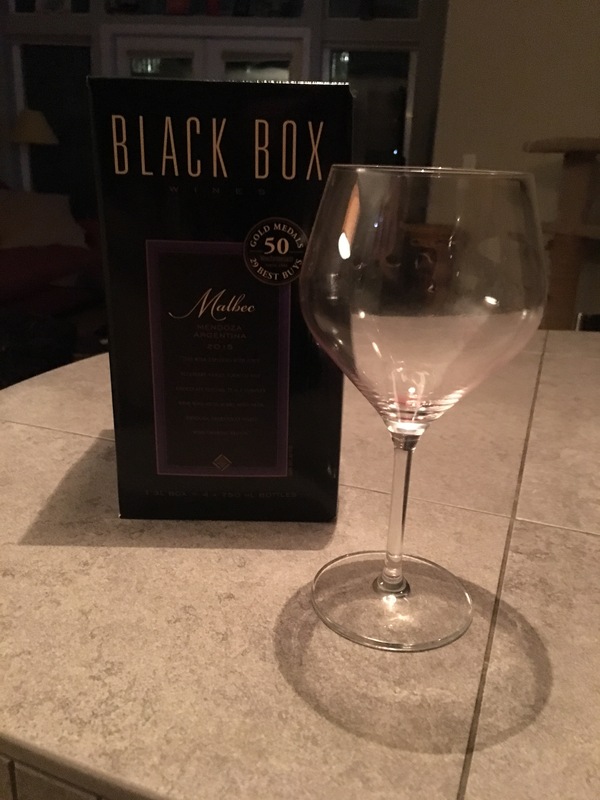 Anyway, after being playfully called a wine snob over my post The Hooverville of Wine – where I criticized my neighbor’s taste in wine after seeing a Yellowtail bottle in the recycling bin on my floor – I had made a mental note to give boxed wine a try. I came across the park – shush, Diezel – and started a load of wash and was off to RiteAid. After selecting my test subject, a Black Box Malbec, I only had to pick out a suitable snack to go with and I was ready: Cheez-its! The perfect companion for this potentially lowbrow exercise. Now, this being an experiment, I was hoping to grab one of the small boxes that I assume is just a glass or two…but it wasn’t available in the Malbec. So, in the spirit of embracing optimism and taking a chance that I’d like this – it is from Mendoza, after all – I bought the big box. It was the claim that it was good for six weeks in the box after opening that sealed my commitment to the 3 liter box. That’s four bottles of wine. The non-sale retail was $31 and I asked the cashier as I was ringing out if she’d ever sold a bottle – er…box – at full price. She said no in a tone of voice that I assumed was a general disinterest in life itself. It could just be the flat affect of her generation. And she could have been a boy. It was hard to tell, but not in that “I’m making a statement about the gender binary” way. Also, she could have thought it was weirder that I asked that question than the realization that it was odd that no one bought this wine at full price. Meanwhile, the store security guard stood in the corner, playing on his phone while it charged from the wall outlet. Praise Cheez-its…help me through this experiment! So, this experiment could be a game changer for me. If I can rally against my natural dislike of leftovers then I could split a bottle of the good stuff over two evenings – when The Fox isn’t here to share – and top my night off with a glass of the low class. Hehe. Seriously, though…four glasses is too much, two is too few. Three is just the right amount of un-wine-ding for me, methinks. Don’t you just love a good “Bob’s your uncle” moment? I get home and set up my box dispenser. The fine looking glossy black box perched on my countertop. Dripping with class, no? Let me tell you, when I poured my first glass, I got quite the surprise: that spout gushes! 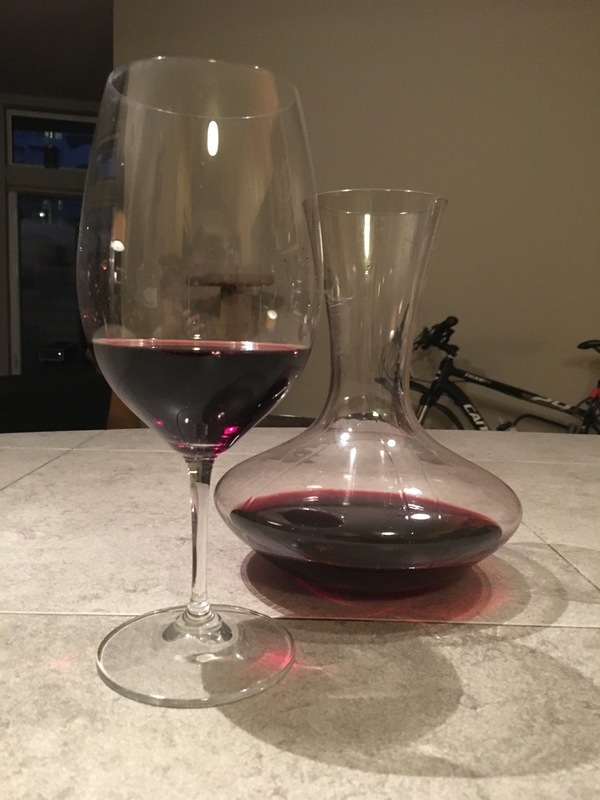 I was a tad relieved, since I usually use an aerator while pouring from the bottle and was one hand short of being able to hold my glass, hold the aerator and press the button on the…tap. I figured the white water rate of flow would aerate the wine somewhat. 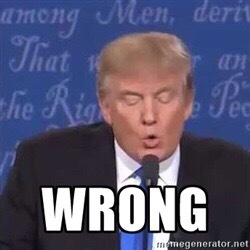 Or not, as the case turned out to be. Nonetheless, laundry needed to be finished, I figured I may as well multi-task while I waited by watching Sherlock and drinking boxed wine and polishing off the box of Chez-its I had picked up. Oh, the romance of a Xtopher Valentine. B) Don’t lead with the good stuff. Since drinking boxed wine hadn’t caused me to grow a third hand, my aerator was still benched. Luckily, I’m fancy and have a decanter. I’m not sure if it was action item A or B or a combination of the two, but on the second night…I enjoyed this experiment! Not for the usual reason I enjoy experiments; namely, being proven right. Quite the opposite, I was preparing to explore the possibility that I was – <gulp> and that was wine I just gulped – wrong. The Silver Fox is due here forthwith…we’ll see how this flies with him. It’s entirely possible that he’ll commit me against my will.